Part of a collection of 5 bears, Genevieve, Brenda, Nina, Dobby, Higgs all-made from plumo, which is unique mix of plush materials and natural mohair. Its exclusive to Charlie Bears and the mohair around the eyes and ears adds a lovely natural touch with finer detailing. Part of a collection of 5 bears, Genevieve, Brenda, Nina, Dobby, Higgs all-�made from plumo, which is unique mix of plush materials and natural mohair. 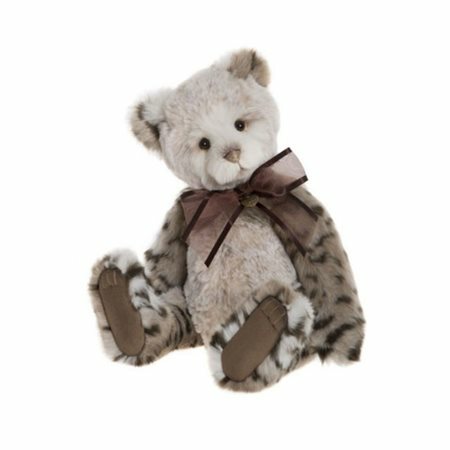 It's exclusive to Charlie Bears and the mohair around the eyes and ears adds a lovely natural touch with finer detailing.